Sigmar bless us, every one. Be ye rat exterminators, loot fetishists, or rat... looters, come hither and rejoice! The first DLC pack for Warhammer: End Times - Vermintide, "Sigmar's Blessing", is now available for your consumption. Not only that, but you don't even have to spend a single one of your hard-earned crowns to access it. The developers, Fatshark, have stated previously that their post-release plans revolve around alternating packs of free and paid DLC, so it's nice to see that they're trying to start off on the right foot. A brand new tier of weapon is now available: Veteran. 40 of these weapons have been added, with each being unique and obtainable only once. 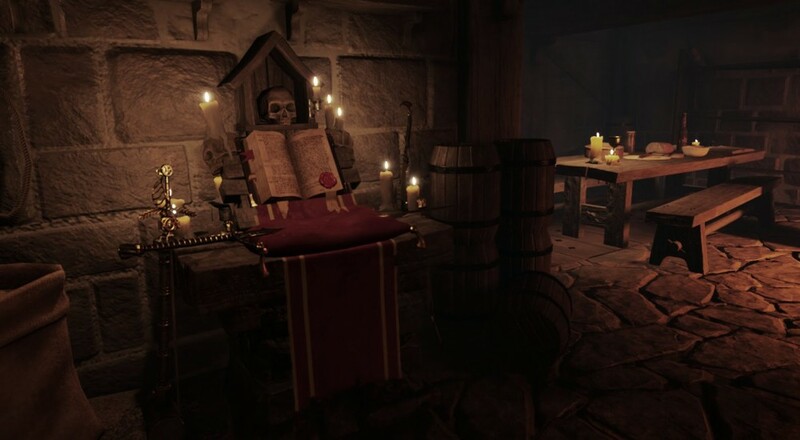 The Shrine of Solace has been added to the Red Moon Inn, which allows players to spend tokens and pray to Sigmar for better loot. New cooperation-centric weapon traits have been added. Unique hero trinkets that increase your chances of obtaining hero-specific loot have been added. Despite the game's successes on nearly every front, loot acquisition was frustratingly random for those of us who preferred to play as one or two specific heroes. Like Saint Nicholas himself, Fatshark heard of our grumblings and set out to ensure our lives were filled solely with joy. Pure, apocalyptic, rat-mutilating joy. Warhammer: End Times - Vermintide may not be the most efficiently named four player co-op game out there, but it certainly is one of the best. If you're interested in taking on the Skaven menace with a few buddies, why don't you roll on down to your nearest digital PC retailer and check it out?